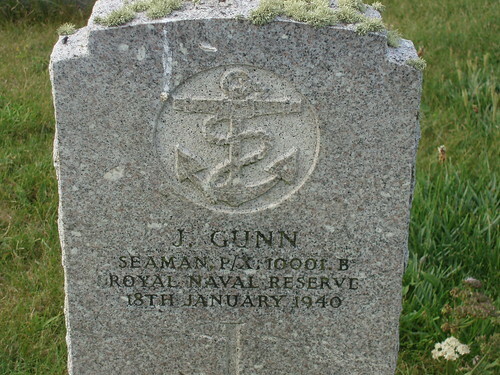 Ness lies some 25 miles north of Stornoway along the A857, and comprises of a dozen villages. 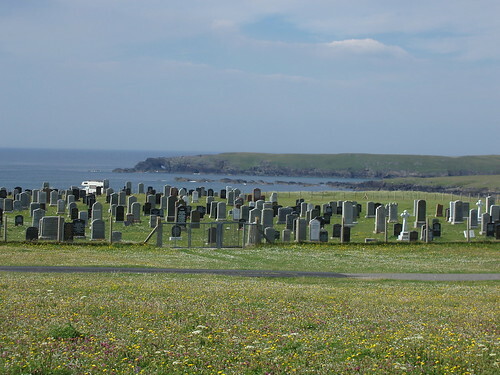 It has two graveyards, which lie within a few hundred yards of each other on the machair, the grassland above the sea. 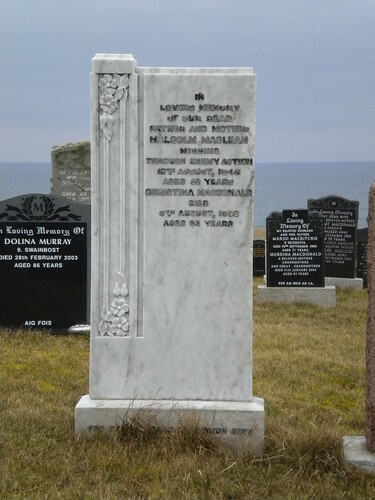 They are easiest approached from the village of Habost, where a sign outside the Folk Museum points to Cladh Nis. 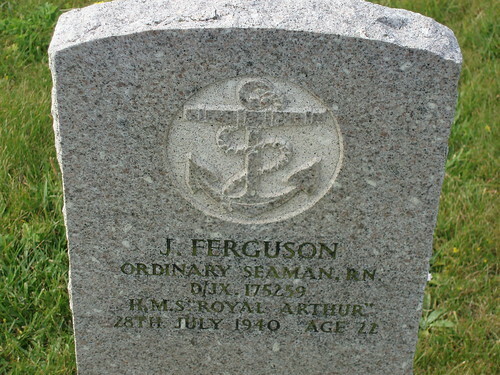 About a mile from the village, the road ends at the new cemetery. 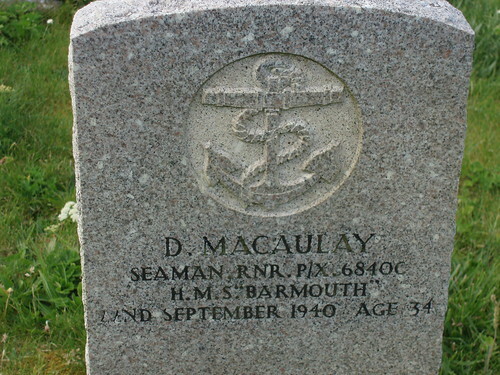 The wargraves are scattered in amongst the civilian graves. 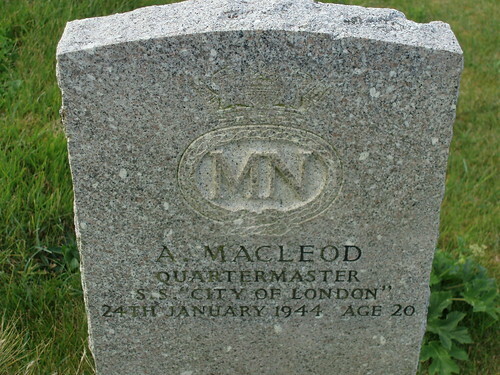 Son of Alexander and Annie Macaulay, of Ness; husband of Margaret Macaulay (nee MacDonald), of Ness. 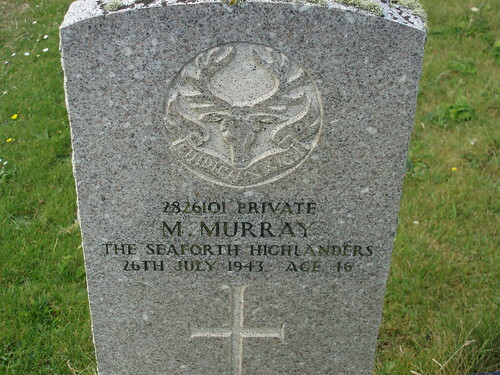 Son of John and Isabella Murray; husband of Agnes Murray, of Swainbost. 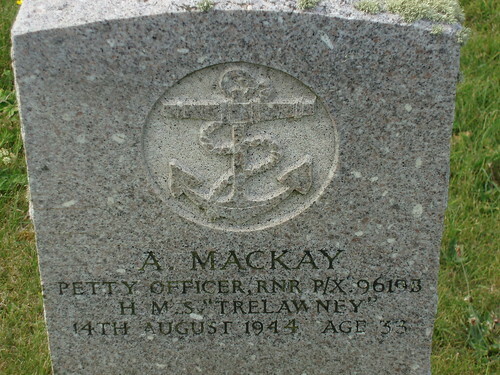 Son of Malcolm and Annie Mackay, of Ness; husband of Catherine Mackay, of Ness. 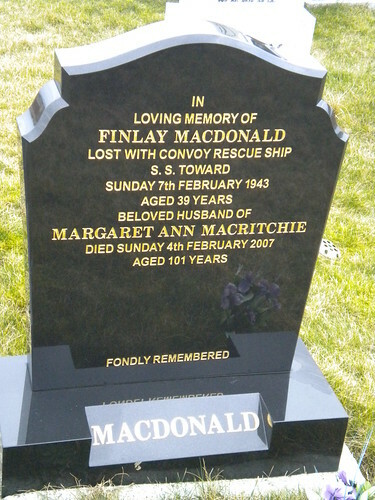 Son of Donald and Mary Macdonald, of Ness. 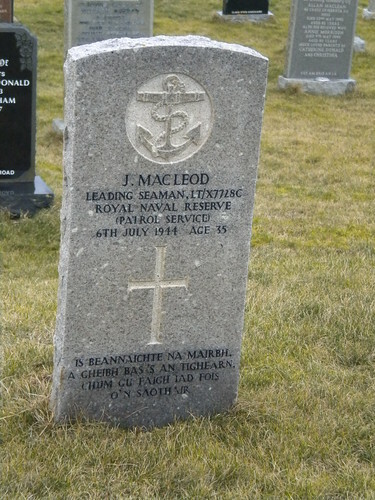 Son of John and Peggy MacLeod, of Ness; husband of Catherine Anne MacLeod, of Back. 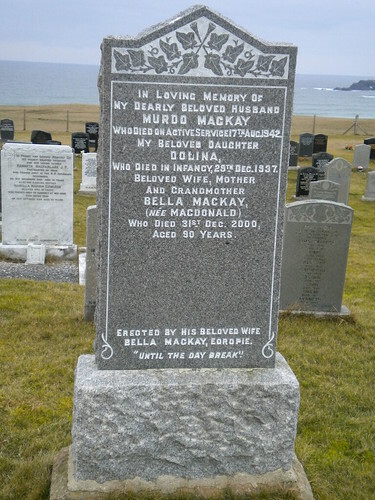 Son of Murdo and Mary Macdonald, of Stornoway, Isle of Lewis; husband of Margaret Ann Macdonald, of Stornoway. 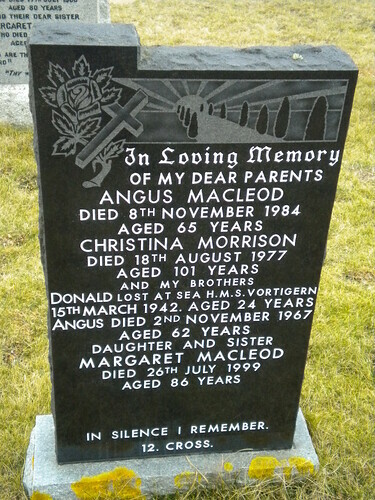 Son of Angus and Christina Macleod, of Ness, Isle of Lewis. 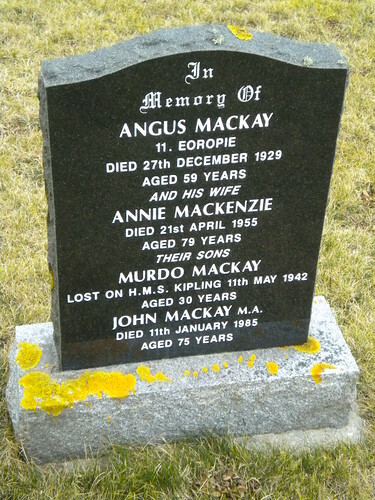 Son of Angus and Annie Mackay. 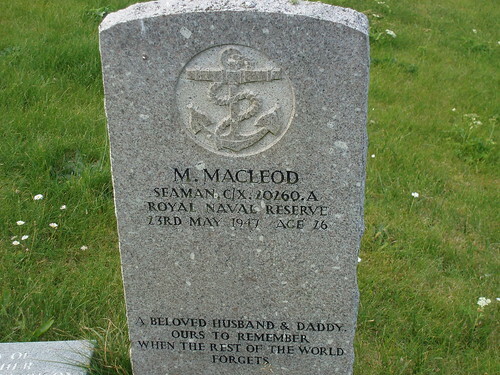 Son of John and Mary MacLeod, of Ness. 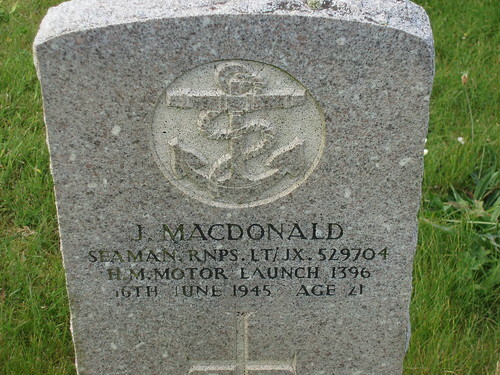 Son of Donald and Mona MacKay, of Ness; husband of Isabella MacKay, of Ness.